Because healthy eating should be easy. When it comes to turning your yard into a mini-farm, there’s nothing quite so satisfying as planting vegetables you can pick fresh every day… There’s also nothing quite so unsatisfying as putting tons of time into growing veggies that turn out scrawny and unproductive. Been there, done that! It’s not worth all the effort if you aren’t successful. So which are the easy vegetables to grow? Part of that success depends on factors such as: how much sunlight your garden gets; whether you’ve chosen plants that are adapted to your planting zone; whether you have good soil (and got a soil test); whether you bought viable seeds; and how often you water. But, some of it just comes down to the plants themselves. This year I got two mini-greenhouses for about $45 each from Amazon and they really helped extend my growing season. The greenhouses I bought are by Quictent. 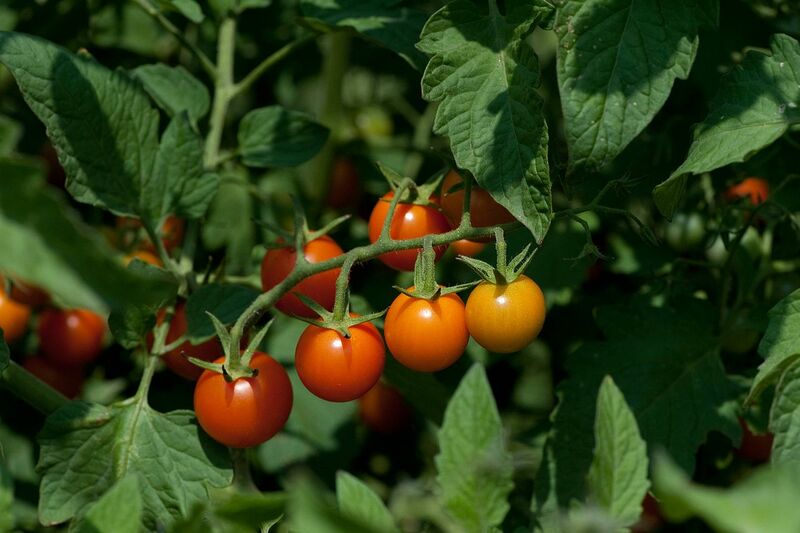 They’re waterproof, UV-protected and measure 71″ W x 36″ D x 36″ H.
If you want to give yourself an advantage going into it, here are 17 easy vegetables to grow — and the reasons why my family and I love growing them in our garden here in Atlanta, Georgia. Both pole and bush beans are known as tough plants that want to grow fast from seed and produce a lot. The key is to make sure you have enough space to train the vines with plant stakes (if you choose pole beans), and that you pick the beans often so they produce more. Bush beans don’t need to be staked because they only grow 1-2 feet tall. My kids love when we grow beans because they’re fun to pick. I always grow Blue Lake 274 bush beans using seeds from Botanical Interests. They produce a great yield in a small space. 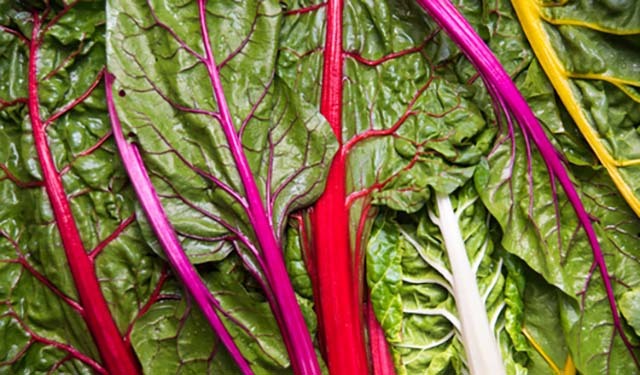 They’ll grow in practically any soil and some people think beet greens are very tasty when cooked. Kids love pulling them out of the ground–and so do adults! It takes 6-8 weeks for cabbage and collards to get sturdy enough to transplant, so if you’re growing from seeds indoors using seed trays, take that into account. If you start these from seed in trays, plan on keeping them for four weeks before you move them into the garden bed. Organic kale can be expensive and hard to find, so growing it yourself makes sense on so many levels. It also takes 6-8 weeks before you can transplant them, so I recommend planting the kale seeds outdoors where they’ll remain. Corn is easy to grow, but you have to make sure you have enough space to make it worthwhile. We’ve tried planting them in raised boxes, but we used up too much of the box to make it worthwhile. I’d only plant in the ground from now on, at the back of a garden. Watch out when you plant this wonderful vining plant! It grows very fast and can overtake an area of your garden if you’re not keeping an eye on it. I’ve also grown cucumbers in pots, which works well. The good thing is one plant can produce so much that you’ll be giving them away to friends. Lettuce is easy to grow, but I prefer to buy starter transplants and skip planting from seed because I get to eat it sooner. We plant lots of varieties in our garden, then selectively pick leaves from all of them so any given one is never stripped bare. This makes for a tasty mixed green salad every night. I don’t grow these because buying them in the store is so inexpensive. But, if you have a need for lots, or don’t have access to organic scallions in the store, then I’d definitely suggest growing them. These vines grow fast, but you have to make sure to water them well when they’re flowering and when the pods are enlarging. Also check to make sure your zone matches their growing requirements, which include 50-70 degree temperatures (Fahrenheit). You can pick radishes as soon as a few weeks after you plant them from seed. But I wouldn’t give up precious garden bed space unless you plan to eat them often, since they’re not expensive to buy in the stores. 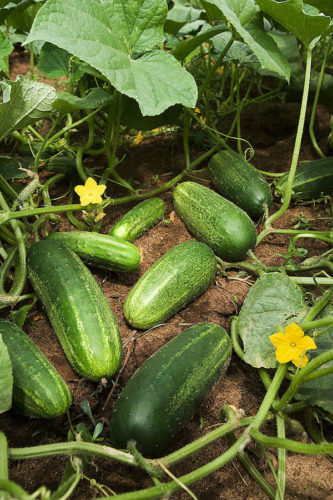 This includes zucchini, yellow squash, Lebanese squash, and scallop squash, all of which have fruit that grows quickly. I’ve found that the real challenges with any type of gourd or melon are giving them enough water so they grow large, and making sure the squirrels don’t steal them before I get to pick them. My all-time favorite! To me a summer garden without tomatoes is missing an essential element. There are so many great varieties available and buying organic tomatoes in the store can get expensive. Growing them from seed is easy, but I prefer to always plant from transplants. 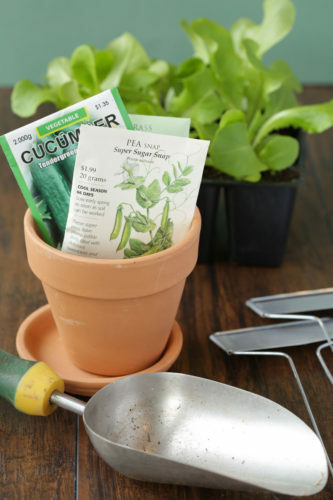 It takes 6-10 weeks before you can transplant them outdoors when you start from seeds in a tray, and it’s not worth coddling them for that long, unless you have a greenhouse. I love rutabagas, which are also called “Swede turnips,” but they grow best in cool fall temperatures and need a lot of space because their roots are so large. You can sow turnips in spring and midsummer to fall. Make sure to pick a fast-growing variety. To read about why some vegetables thrive in the heat and others don’t, read this article. Got questions about easy vegetables to grow? Write a comment!